Even though demand for properties has increased and home prices have gone up, it is still possible to find waterfront properties in the Pinellas County area priced under $500,000. Here are a few homes worth checking out before they're officially snatched off the market for good. Desirable Dunedin Waterfront Home is Surrounded by Million Dollar Plus Homes. Wide deep water canal, 2 Blocks from the Gulf of Mexico, minutes to Honeymoon Beach/Caladesi Island & Clearwater Beach. Home offers a spacious floor plan, Living RM & Family RM open to Dining. 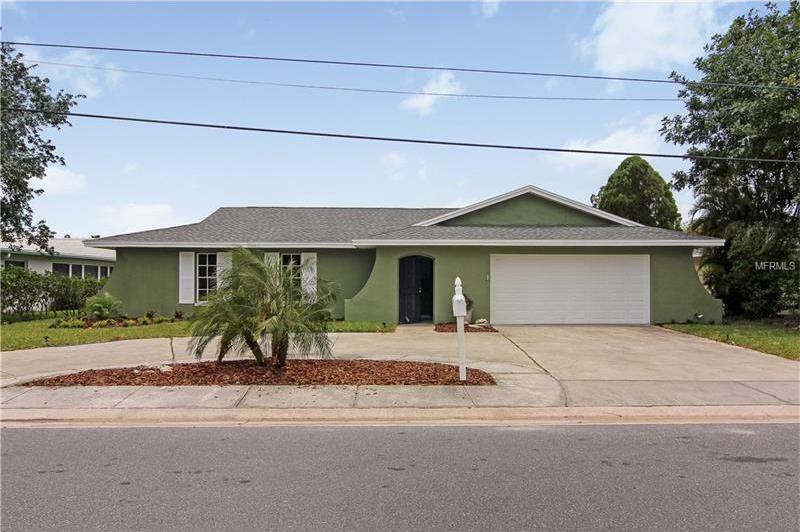 Kitchen W/ Breakfast bar & Breakfast Nook, Master BR with updated private bath, sliding doors leading to enclosed lanai W/Hot-Tub overlooking a tropical paradise W/lush landscaping, fenced-in yard is great for pets. Newer Roof & A/C. Freshly Painted. Walk or Jog to Pinellas Trails & Parks. Minutes to Downtown Dunedin, shopping & Fine Dining. 25-30 Minutes to Tampa & St Pet Airports. Least expensive waterfront home in Harbor Hills! This rare waterfront home is at the end of Harbor Hills near a cul de sac. This two bedroom, two bath, two car garage features a very nice floor plan with living room, eat in kitchen and master bedroom all opening to a large screened enclosed porch that overlooks the water. Additional features include a large pantry in kitchen and a large inside utility room. 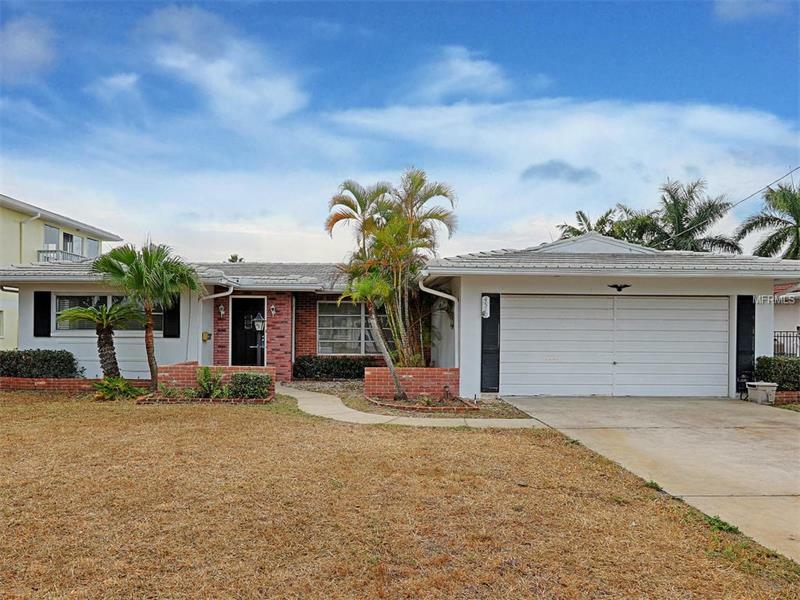 This home has new carpeting and paint throughout. Park your boat on your own private dock overlooking the intercoastal waterway. Harbor Hills is conveniently located close to shopping, fine restaurants and just a few short minutes from the sandy beaches of the Gulf of Mexico. Fabulous 2 bedrooms +bonus 3rd room: office /3rd bedroom/guest room gives you lots of options at @10 ft x 13 ft - must see! Boaters Dream w/quick access to Intercoastal Waterway & mins to Gulf of Mexico from this gorgeous tropical piece of paradise rare at this price. Updated & at the end of a high & dry cul-de-sac. Just minutes to Johns Pass via boat & just a block or 2 to get to grocery, restaurants & beach. 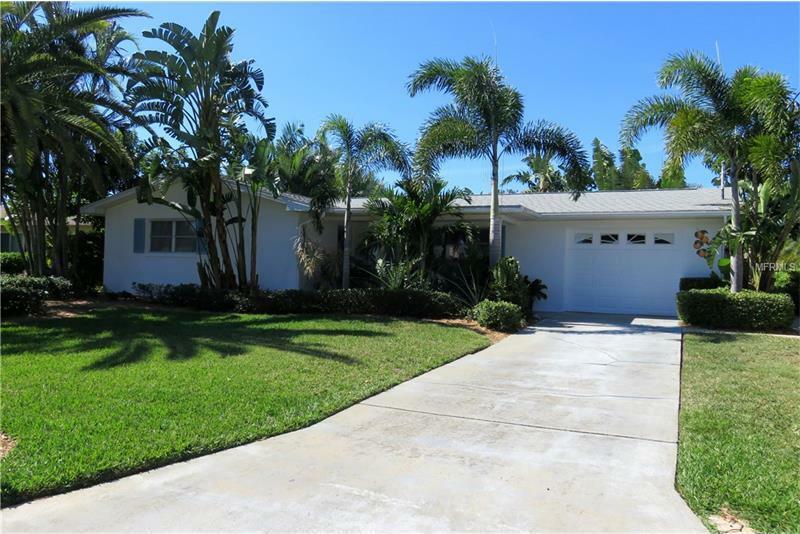 Completely remodeled & landscaped. Follow winding paver path to the backyard to take in the sun or shade anytime of day while enjoying the water view. Low maintenance yard has a tropical theme & includes coconuts, ginger, seagrapes, bananas & palms of all sorts plus irrigation to keep everything green. The uplighting make the outdoors equally enjoyable at night. Newer composite dock w/10k boatlift & remote plus a lower dock for easy in & out of kayaking & more. Ultimate beach bungalow.You will fall in love with this charming & renovated beach house. Interior upgrades include new stainless steel appliances, wood kitchen cabinets, wood and tile flooring, new remote control blinds, fans, fixtures, lighting, interior doors, freshly painted interior and more. Enjoy your master bedroom with wood floors, large closet, private bathroom and walk-in shower. 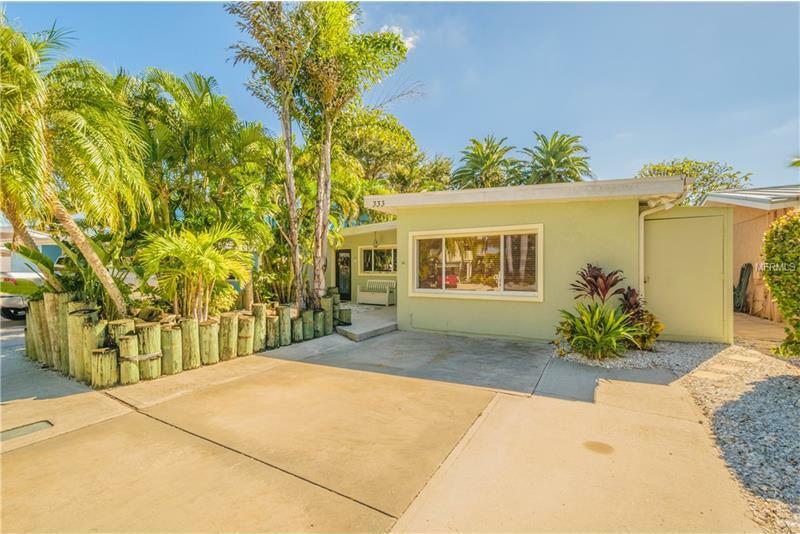 Superb location especially with all that's being planned for the entry of Madeira Beach one block away - close to grocery, shopping, restaurants, bars, recreations center & the beach. Welcome home to your remodeled waterfront retreat. 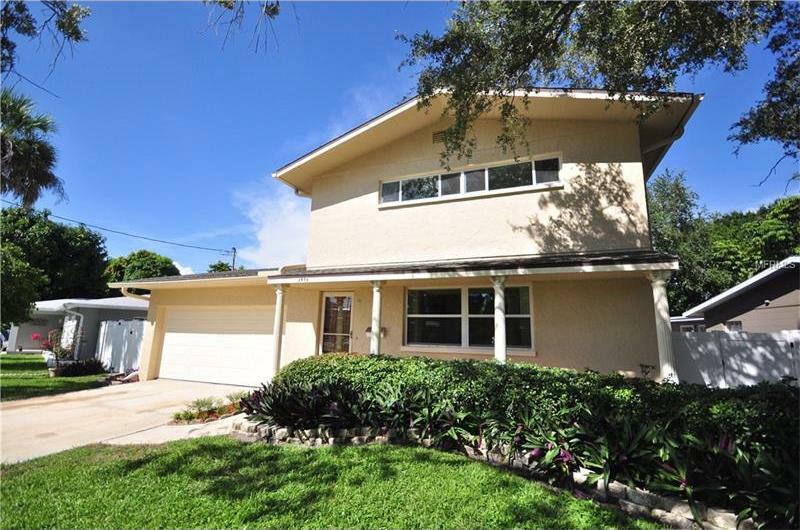 This 3 bedroom, 2 bath, pool home is move in ready. The kitchen is ready for you to make your own and the rest of the home has just been remodeled. Beautiful porcelain tile throughout the main rooms have new drywall on the walls and ceiling with new paint and trim. The bathrooms are all new with tile, fixtures, vanities, low flow toilets, shower and tub. There is a warm and welcoming wood burning fireplace in the great room. The backyard has a pool, new Aztec Composite dock with 5,000 lbs Davits to house your smaller boat. The large 2 car garage has a new Hurricane Rated door and epoxy floor. The AC and handler is also new giving you peace of mind going into summer.